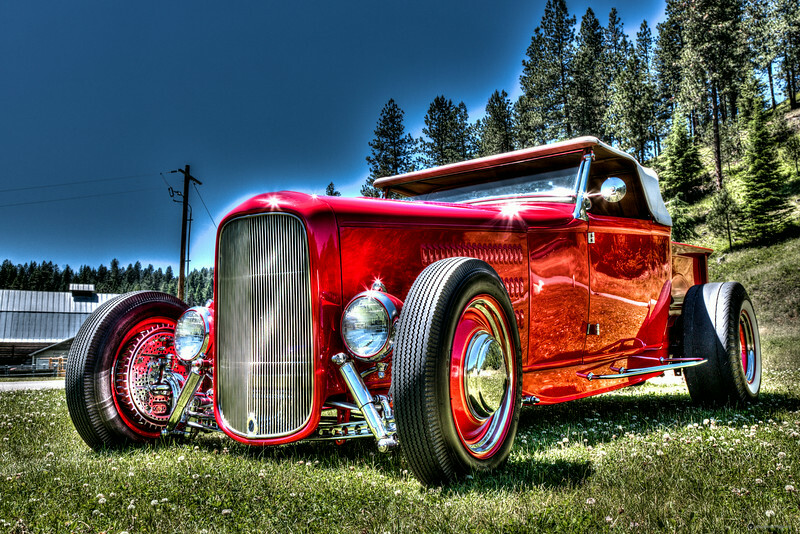 1932 Ford Roadster Pickup - Brookville Steel Body. Custom Bed By Boyd Cottington - Pinstripe by Von Dutch. Remove Carson top, windshield, & headlights. Change differential gear, rear tires, & wheels. Then after all the racing was done and if you hadn't wrecked or broke something you put it all back together and it became your Monday thru Friday daily driver again (25 cents per gallon of gas).